The Brighton lifeboat crew pulled a drowning man from the sea near Peter Pan’s Playground this morning (Saturday 13 June). The RNLI Brighton crew were called into action at about 7am after a man was seen going into the sea near the Palace Pier. They searched the area and, after about 45 minutes, spotted the man in the surf some way east of where he had entered the water. After taking him ashore, paramedics from the South East Coast Ambulance Service tended him before taking him to the nearby Royal Sussex County Hospital, in Kemp Town. His condition was believed to critical. The RNLI Brighton said: “The volunteer lifeboat crew of Brighton RNLI lifeboat were tasked to launch by Solent Coastguard today at 7.05am amid reports that person had entered the water just west of Brighton Pier. “Emergency services were contacted by worried bystanders who reported that a person had entered the sea and had not returned. 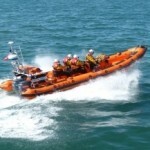 “Brighton RNLI made best speed to Brighton Pier, where a search commenced in and around the pier. “Given the conditions on scene the helmsman made the decision to expand the search eastwards up to Brighton Marina. “With emergency services on shore as well as the sea an extensive search was carried out between Brighton Pier and Brighton Marina. “The decision was then made to request a flank station and Coastguard Helicopter 104 to assist in the search. “Police officers completing a shoreline search spotted the individual close to shore and the volunteer helmsman of Brighton Lifeboat made the decision to put a crew member in the water to rescue the man. “Our crewman managed to locate the casualty and with the help of Newhaven Coastguard got the casualty ashore and passed him over to South East Coast Ambulance Service. 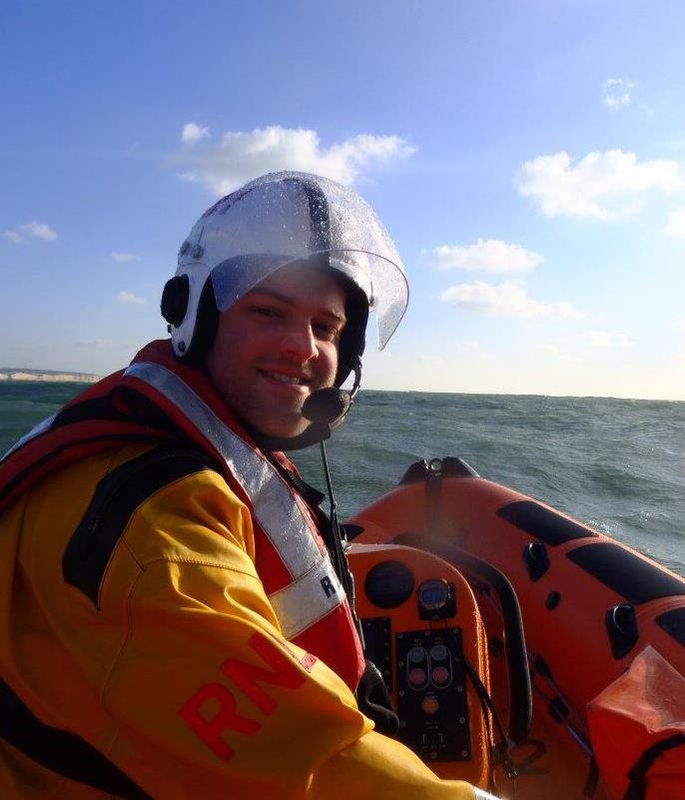 Daniel Gurr, volunteer helmsman at Brighton RNLI, said: “Given conditions on scene the search was very challenging with a large a shore dump and the lifeboat needing to go close into shore.